How antibiotics may impact bodywork. Ways staph infections are transmitted and how to prevent exposure. Situations when medical gloves may be appropriate for massage. How Antibiotics May Impact Bodywork - Although frequently prescribed, many people do not realize the disturbing implications of antibiotic use. Discover several issues relating to antibiotics that all massage therapists should be aware of. 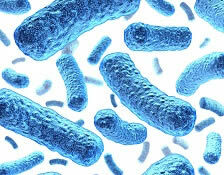 Massage Therapy and Drug Resistant Staph Infections - As harmful bacteria grow and change over time, they become more and more resistant to commonly used antibiotics. Are they only dangerous in hospital settings, or do massage therapists in private practice need to be concerned as well? Keeping a Massage Therapist's Hands Germ-Free - Reviewing the details of preventing the transmission of germs - and recognizing where mistakes are made - can help renew massage therapists' pledge to properly cleanse their hands. Massage Therapy: Safety and Medical Gloves - Massage therapy is a hands-on profession. Through the hands of a massage therapist can be felt the tension of muscles, the misalignment of bony structures and the stress of daily life. Some massage therapists may even be able to tell whether a person competes in a particular sport, drives a stick-shift or works at a desk all day - just by the way the body feels during a massage session. On the other hand, learn why some situations require the use of medical gloves. You can either read the articles by clicking on any of the titles above or upon enrollment you'll be able to access these articles and your online test through your online course account. Another great course - useful for my practice and also in life (with so many superbugs on the rise). Straightforward and informative. Thank you! Informative yet concise. Worth the cost. As a concerned L.M.T. I found this material profoundly alarming. Most of my clients are Healthcare Workers. I will now use extra precaution when working. With MRSA on the up-rise I believe ALL therapist should be required to take this test. THANK YOU FOR HELPING US PROTECT ONE ANOTHER! The one credit courses are a nice way to pick up some helpful information without spending a lot of time and money. My favorite out of the Infectious Disease and HIV/AIDS courses. A great refresher for any Massage Therapist! Explain antibiotic resistance and how a client’s use of antibiotics can have an impact on bodywork. Identify common drug resistant bacteria and explain how infections caused by them can be avoided in a massage therapy setting. Explain why clean hands are so important for a massage therapist as well as how to properly wash hands and use hand sanitizers effectively before and after working with clients. Explain how the occasional use of surgical-type gloves have come into use in a massage therapy setting, as well as identify the various types of gloves that may or may not be recommended for use with massage oils. 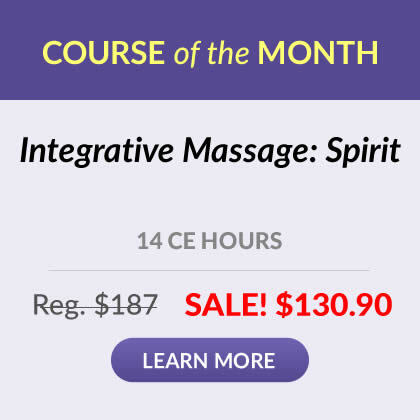 Signup for the Institute's newsletter to receive original massage articles you'll love to read and exclusive offers you'll want to use. I appreciate your straight-forward, no tricks, clear material and testing formats. Thank you! To checkout, you are being forwarded to our secure shopping site at our parent company, the Institute for Integrative Healthcare Studies. Are you struggling to attract and retain massage therapy clients? 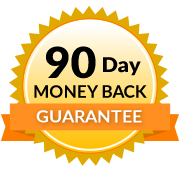 You'll also receive original massage articles and exclusive offers.